It’s the very end of the financial year, FY 2018. This may have sounded like a great year, but it’s really not that great when you tally the returns – just 10% on the financial year. 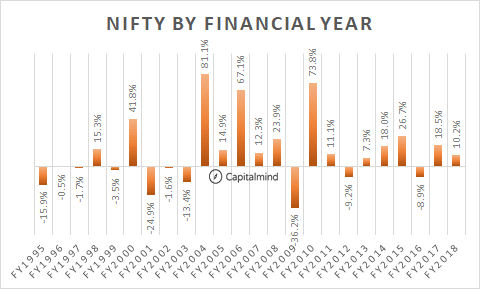 For the month though, this is second lousy month in succession with a near 4% drop on the Nifty. 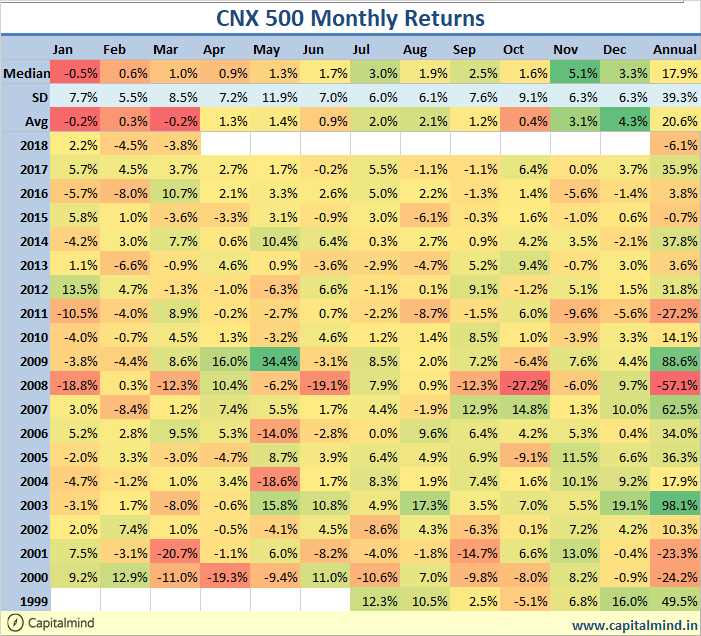 And after a good Jan, we are now down about 4% for the year. 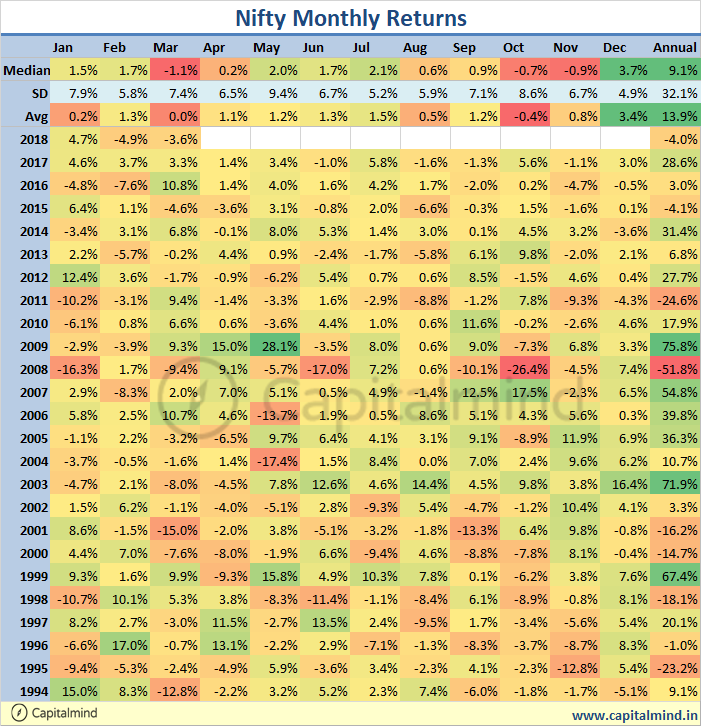 However the first three months tend to be lousy – and the next three seem to be better at least on average/medians.